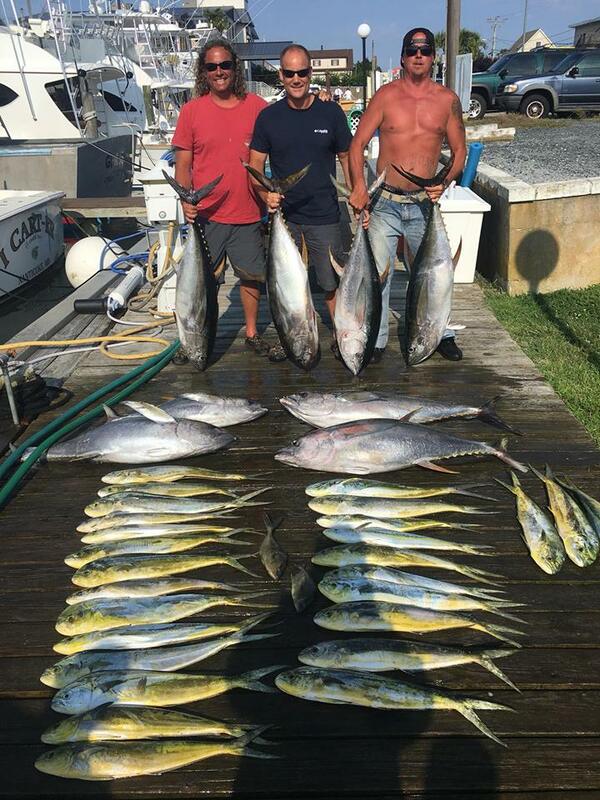 Tuna fishing in the waters off of Ocean City Maryland is some of the finest on the East Coast. 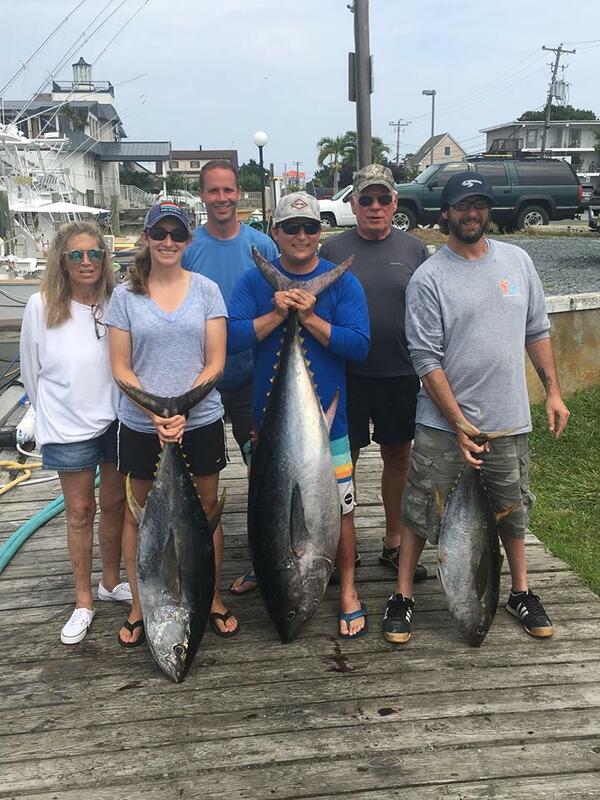 You will find the Yellowfin tuna and Bluefin tuna mid June till October. 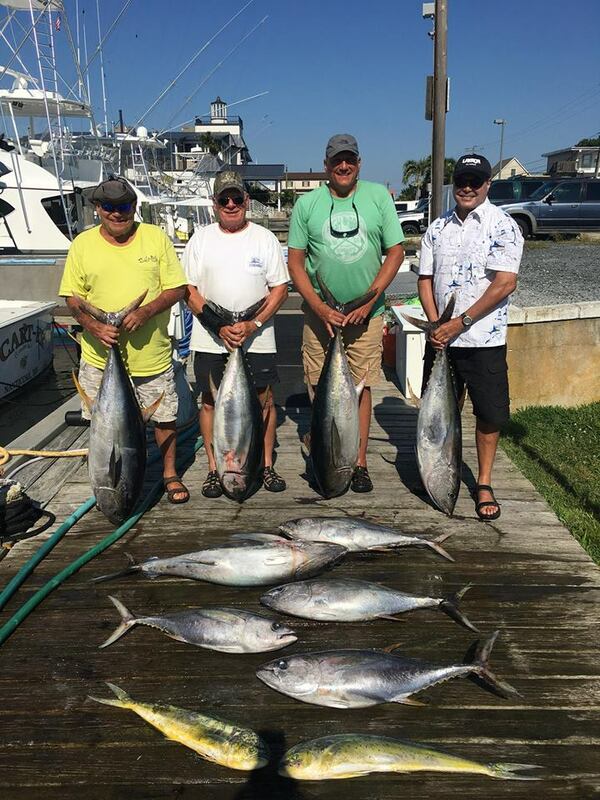 The Longfin tuna and Big Eye tuna seem to more abundant in August and September. 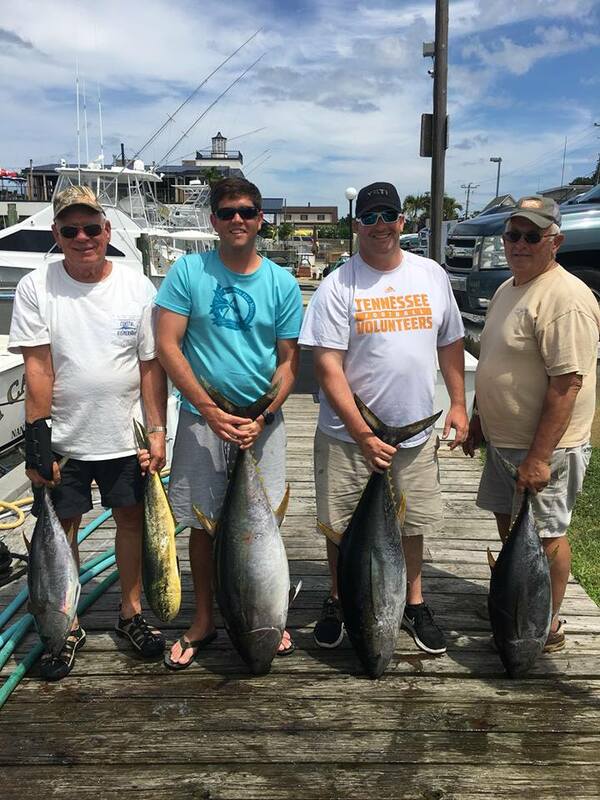 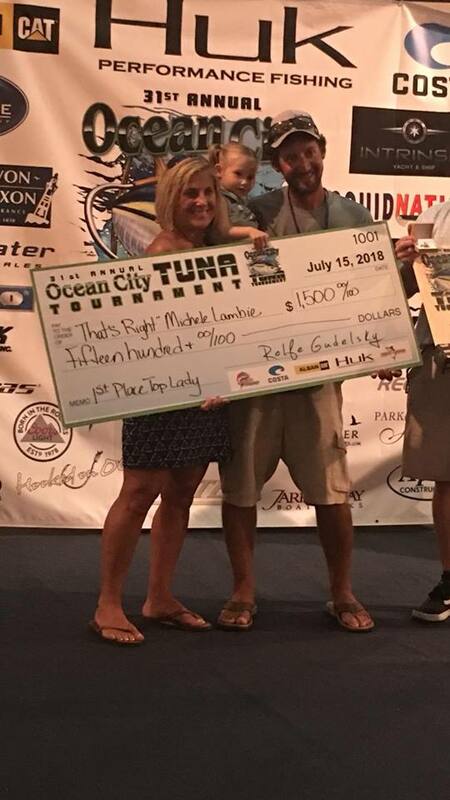 The captain and crew of “That’s Right” are considered one of the best Tuna fishermen around! 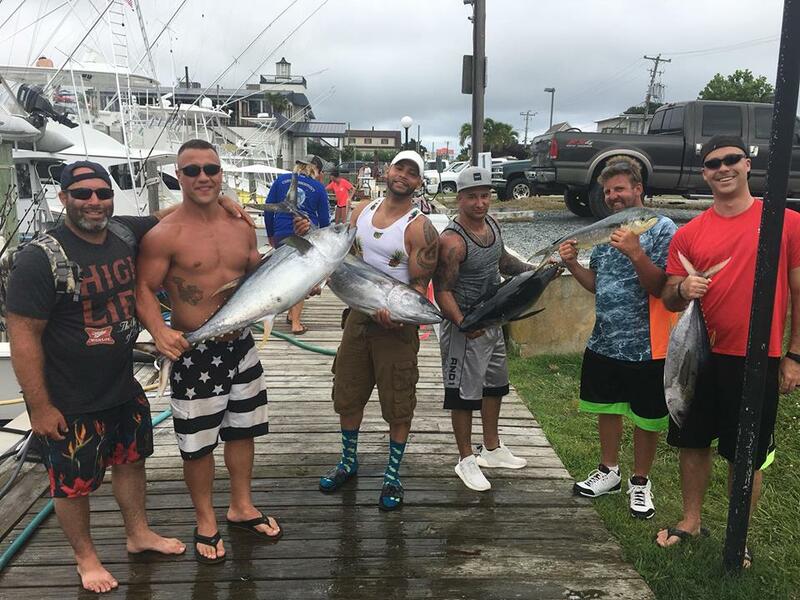 Not everybody can troll 16 or 18 lines at once and be extremely productive; it’s an art that has taken many years to perfect. 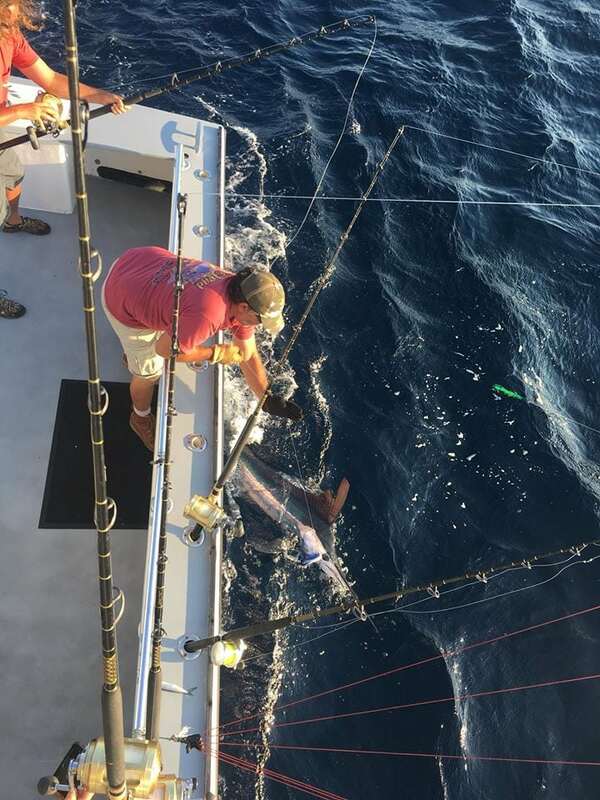 You will find us trolling ballyhoos mostly with a few spreader bars and squid chains mixed in. 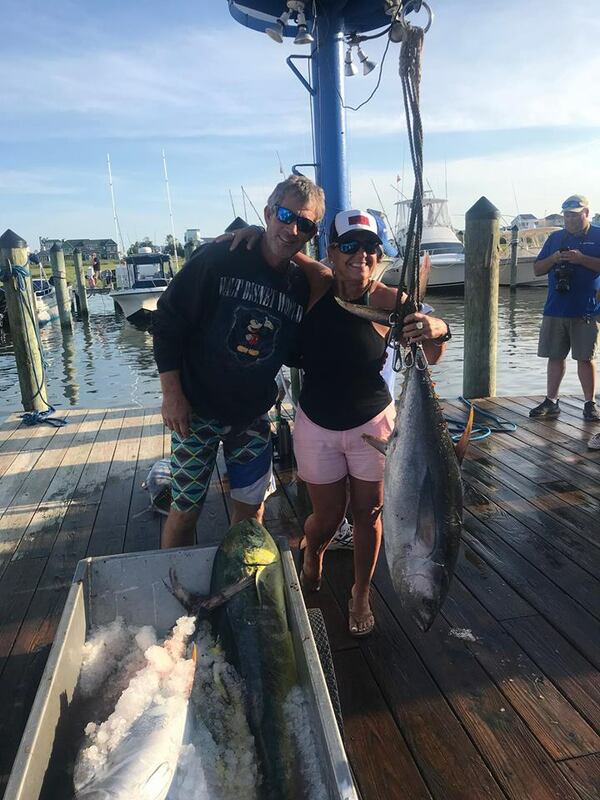 Tunas can also be caught by Jigging or chucking, be sure that we have jigging outfits and chucking outfits all set up and ready to go at a moments notice.